Supernova has opened it's doors to a new heritage centre in the heart of Newhaven on the south coast. 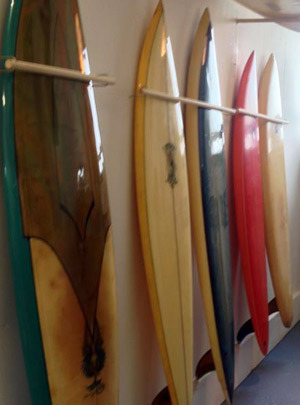 There are a collection of vintage surfboards on display dating back to the early Sixties. Also on display is a Bickers board made by the great Fred Bickers, one of the early pioneers of Surfboard shaping in the UK. 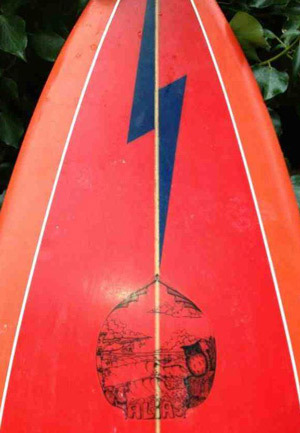 A Bickers surfboard was considered the finest surfboard of its day. Fred Bickers was a cabinet maker and true craftsman, and when he turned his hand to shaping surfboards, they were seen as the Rolls Royce of surfboards. There were very few Bickers boards made (around 200) and there are only approximately 20 of these beautiful boards that still survive.